EPR stands for Extended Producer Responsibility. These programs (also known as product stewardship) are designed to shift the responsibility of collecting, processing, and recycling materials from individual municipalities back into the hands of those who design, produce, sell, or use these materials. British Columbia’s Ministry of Environment starts with legislating a recycling regulation for a specific product that includes recycling goals and targets. They then leave it up to the industry to decide how best to meet these goals & targets. Manufacturers, retailers, and other stakeholders will either form a non-profit organization or contract through an existing organization. This organization will work with all stakeholders and the public to develop how their recycling program will work, launch it throughout the province, and report back to the Ministry of Environment on a regular basis to ensure it is meeting the goals & targets set out in the regulation. Having had an early start with the success of the bottle deposit on beverage containers, the province of BC is now a leader in EPR stewardship programs both across Canada and around the world. With our goal to make the Maple Ridge Recycling Depot a “one-stop” recycling depot for as many items as possible, we take part in as many EPR programs as we can. Why are these programs necessary? Many items that end up in the landfill are dangerous to the environment, animals, and people. Stewardship programs work to ensure that products are recycled safely and responsibly. Costs are covered by consumers and producers of products instead of being downloaded to local governments or taxpayers. Often a deposit or levy is charged at the time of purchase. What items are covered by stewardship programs in Maple Ridge? *While not collected at our depot, programs exist to bring medication back to pharmacies and tires back to car shops. What are some new products covered by EPR programs? EPR programs are constantly being created or expanded, enabling us to accept more items at the Maple Ridge Recycling Depot as part of the BC Stewardship Programs. All electric & electronic items are now accepted at the depot (“Everything with a battery or a cord!”), as well as any item used with electronic systems including: 8-tracks, records, cassette tapes, CDs, DVDs, Blu-ray discs, laser discs, memory cards, game cartridges, VHS (& Beta!) tapes, floppy discs, & USB drives. The LightRecycle program has also expanded from just flourescent light bulbs & tubes to include ALL lamps & light bulbs, including incandescent, LED, halogen, & minature (flashlight & Christmas lights) light bulbs. Other items that are included in expanding programs are medical grade electronics, car electronics (eg. GPS systems, stereos, & radios), all electric or electronic tools, and any sport, leisure, arts, craft, or hobby devices that have a power cord, plug, or battery. The most significant program that began in 2014 covers all packaging & printed paper (PPP). Recycle BC is the organization that has developed this program, which applies solely to residential areas and covers everything that is currently collected in the curbside blue boxes and apartment totes. 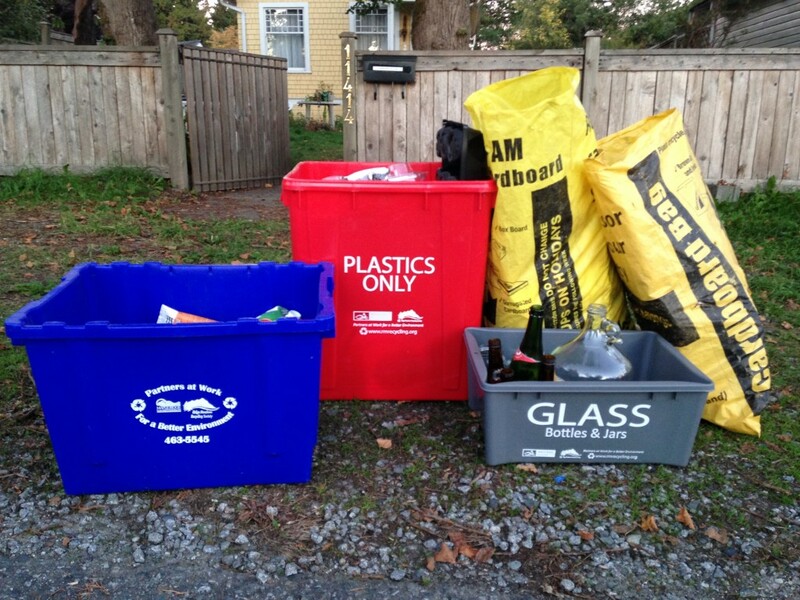 Download the Curbside Recycling Sort Flyer or Apartment Recycling Sort Flyer.